This is the story of 4 betting men, 4 little Frenchmen who are regulars at a betting shop in Paris, the Balto. 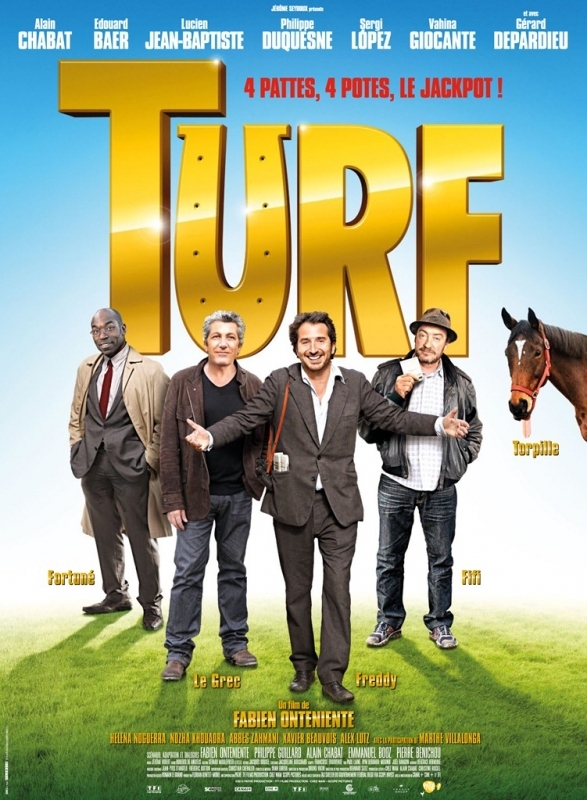 Le Grec (the osteopath), Fifi (who lives with his mother who is a concierge), Fortuné (the Antillean who works for Cogex) and Freddy (the gambler) who are fed up with losing the little that they have and want to stop racing... Yes, but as the well-known motto of racegoers has it : "Today's loss comes before tomorrow's win" and then fate comes knocking on the door ! A fate with big ideas, too, a legendary punter, known as the white wolf at every racecourse, by every racegoer and... by the Gaming Police : Monsieur Paul. This gentleman proposes that the 4 gamblers buy a "sure thing", in reality an old nag that he has his eye on : Torpedo. At the Balto, business is settled quickly ! There are 4 of them and they each decide to buy 1 of the nag's legs ! This takes the Balto band of brothers into the world of racehorse owners, big schemes, billionaires from Auteuil to Monte Carlo - in other words into a world very far from their own. Will they triumph or lose everything, even their friendship ? They're under starter's orders !